Since 2006, DW Windows have completed hundreds of double glazing installations across the West Midlands. 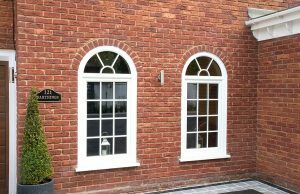 Over the last 10 years we have successfully built our reputation as a reliable and professional double glazing installation company. Using only the best quality products fitted by a skilled and experienced workforce, we have become one of the best installation teams in the area. With our head office located in Coseley, we are situated just outside Wolverhampton along the Birmingham New Road. Our convenient location means that it’s no surprise that we are regularly working in and around Wolverhampton. Wolverhampton’s economy was traditionally dominated by engineering and manufacturing industries. In Victorian times Wolverhampton grew to be a wealthy town with a wide variety of properties being built. Large detached properties housed richer families while smaller terraced properties were built for the industry workers. During the 1920s many houses were built to re-house families after the First World War. This extensive development continued into the 1930s with large housing estates being built in Oxley and Wobaston. In recent years, Wolverhampton has undergone many regeneration projects, with some older properties being demolished to make way for newer ones. Local residents now have a wealth of choice in Wolverhampton when it comes to property styles and ages. At DW Windows, we have completed installations across Wolverhampton and the surrounding area. From St. John’s Square to Waterloo Road we have amassed a wealth of local knowledge to make us the best choice for your property upgrade. 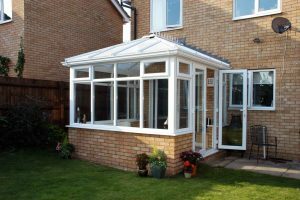 Whether you want a simple window replacement or an impressive orangery or conservatory extension; we have the skills and knowledge to help you to realise your dream home. For more information on any of our products and services call us on 0800 9990 909 or send us a message online. Our friendly team are always happy to answer any questions and offer advice on the best solution for your home improvement project.